The term bonding is used to describe procedures where tooth-colored dental resins and composites are used. Direct bonding techniques can be used to change the shape and color of teeth as well as to close unattractive spaces. It can also be used to repair chipped or broken teeth or even to cover up unsightly stains. Unlike crowns or caps, direct bonding requires only a minimal amount of tooth reduction thus making it a very conservative procedure. After slight preparation, the tooth is etched with a weak phosphoric acid solution to create a more porous and rougher surface for increased bonding strength. Next, a composite (plastic) resin is placed on the tooth and shaped, contoured and hardened with a special curing light. It is then further shaped and highly polished creating a very natural appearance. The procedure usually requires only one visit and is not painful. 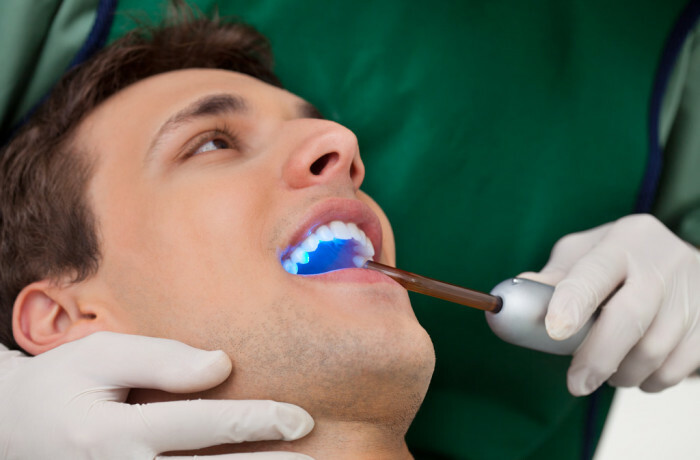 Natural tooth-colored fillings have become widely accepted and are often used in place of metallic restorations where aesthetics is a primary concern. There are even studies that show that in some cases, use of certain tooth-colored materials can strengthen a tooth, making it a better choice than the metallic predecessor – amalgam. Two basic types of tooth-colored restorations are used: composite and ceramic.